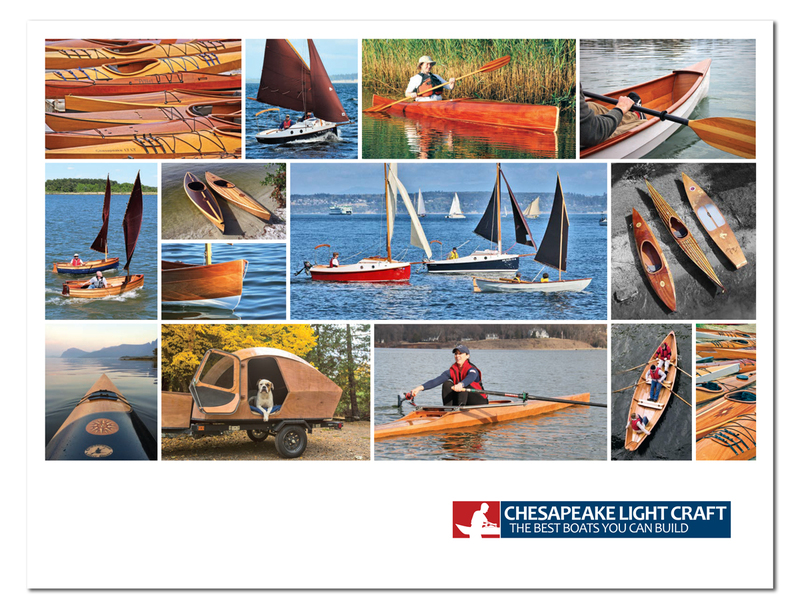 » view the Chesapeake 17LT materials list and order a la carte! Our most popular kit for ten years now. The 17LT was one of the earliest variations of the original Chesapeake 17 model. We took the Chesapeake 17's beautiful lines and trimmed about 20% of the volume out of the hull for a sleeker, low-windage hull with the same great speed and tracking of the original. In a nutshell, the Chesapeake 17LT is a terrific all-round sea kayak, combining stability and cockpit comfort with above-average speed. Of our many kayaks, the 17LT has the broadest paddler weight range. Folks from about 130 pounds all of the way up to around 220 pounds will be able to paddle the 17LT in all conditions. A great kayak for lazy Saturday afternoons, yet it has the volume for serious multi-week expeditions. Among our easiest-to-build boats, and a start-to-finish how-to DVD is included!